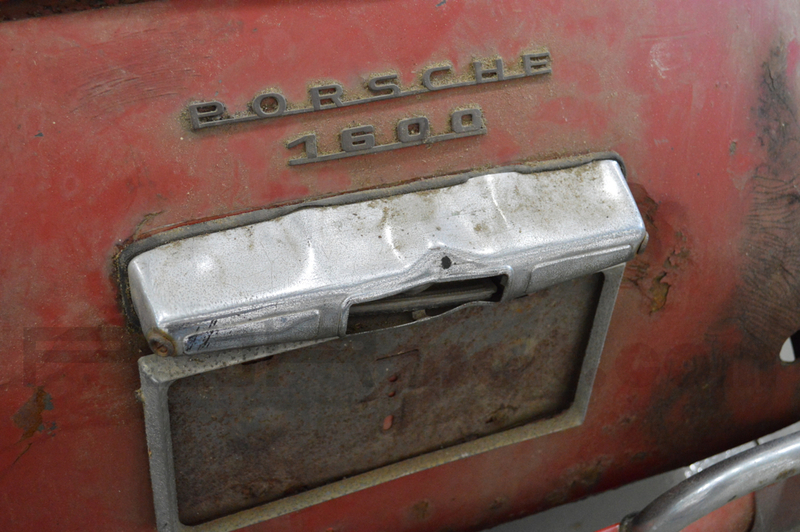 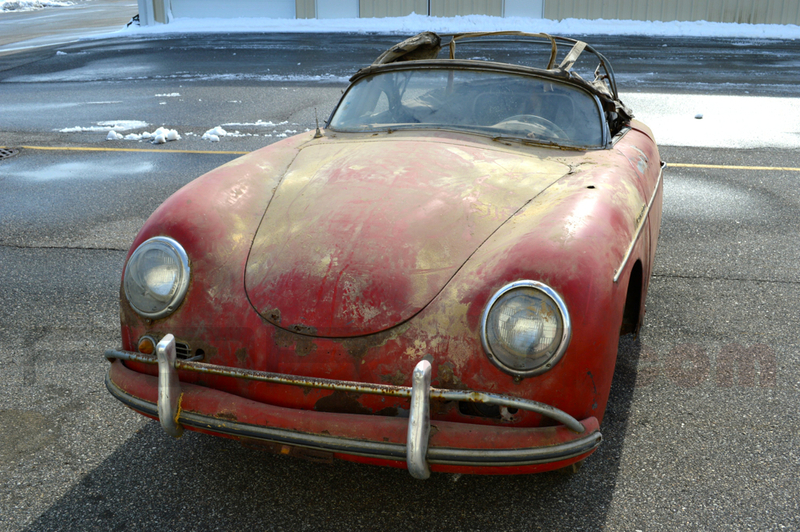 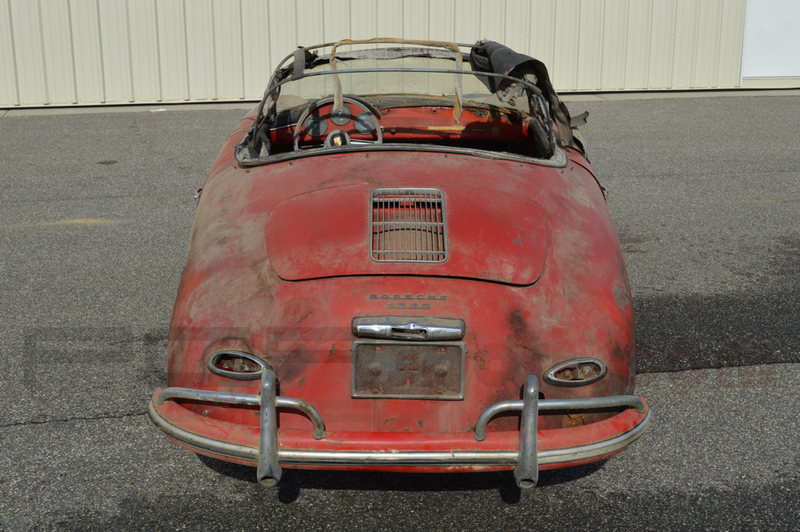 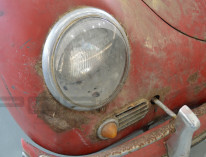 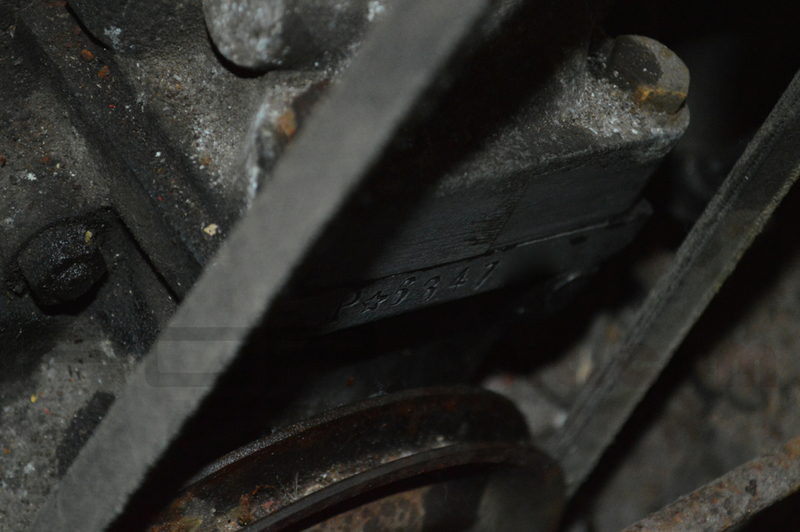 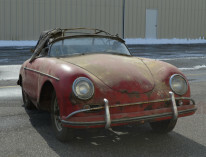 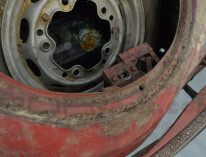 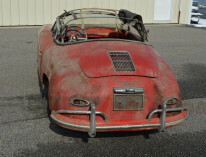 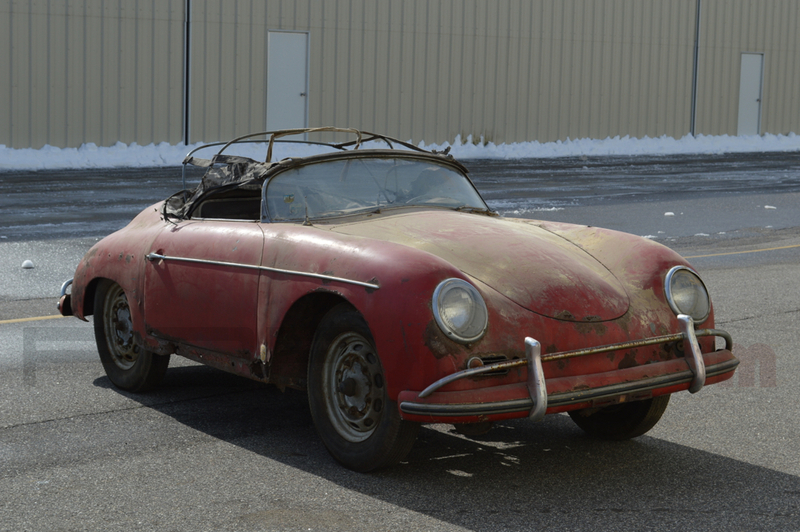 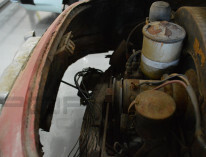 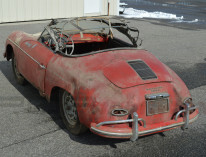 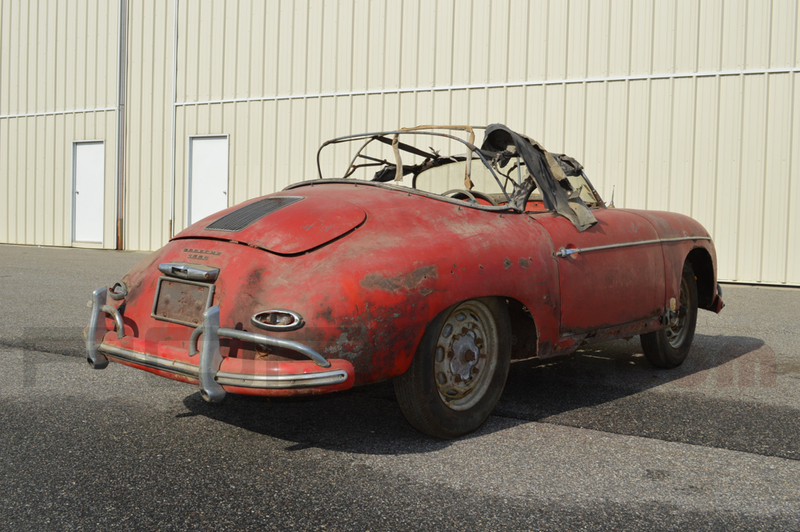 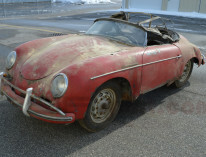 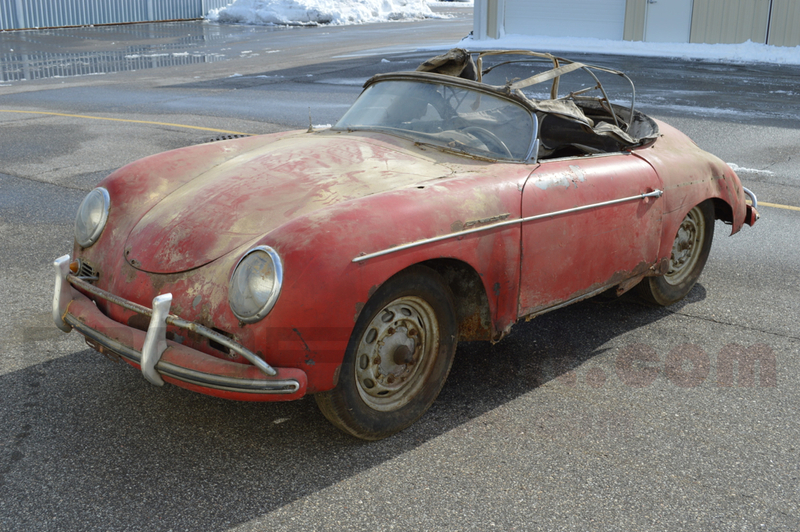 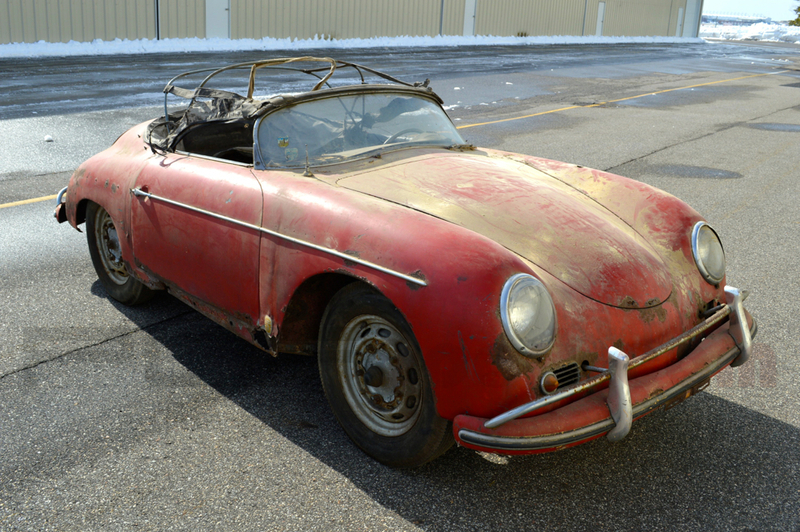 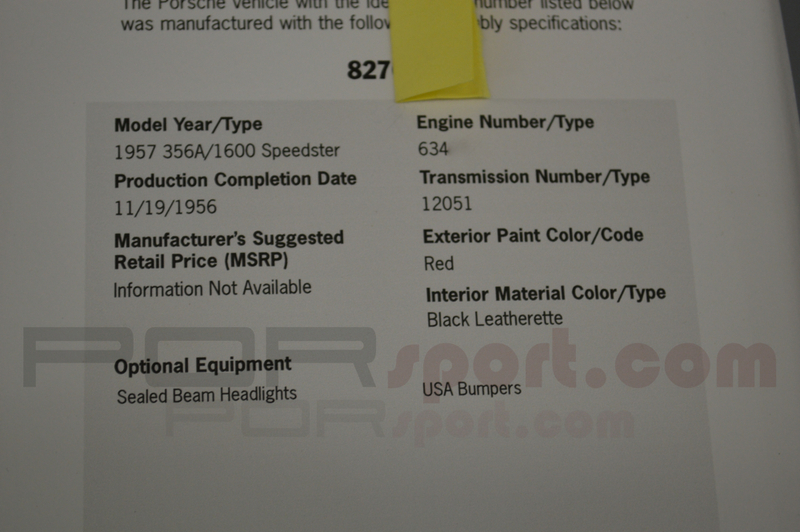 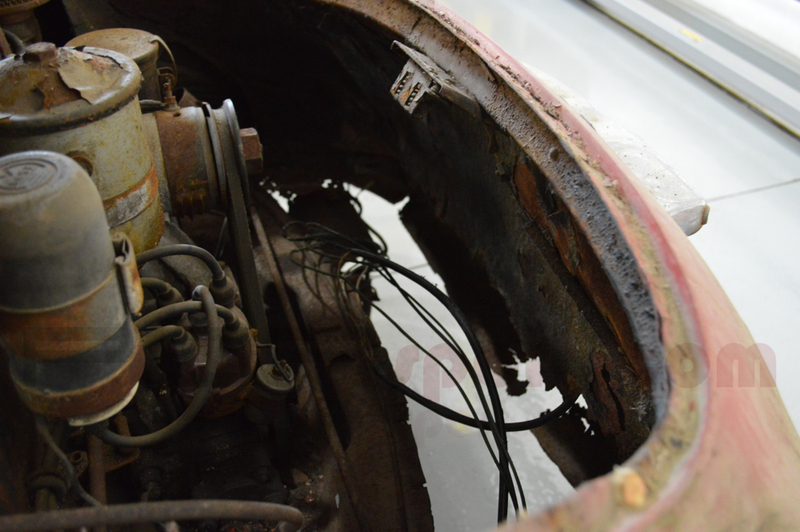 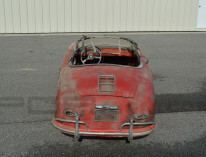 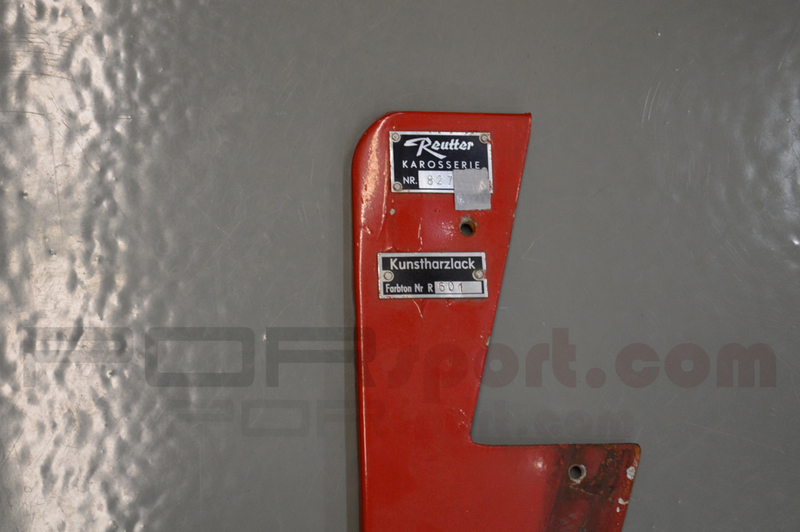 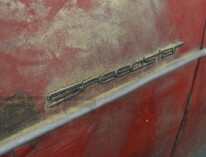 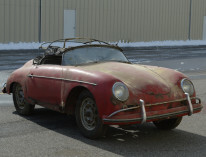 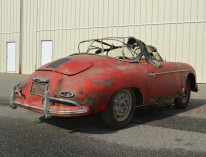 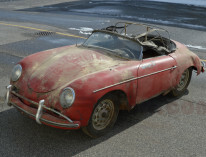 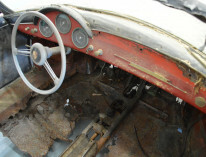 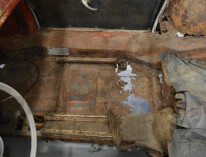 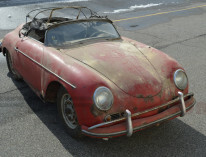 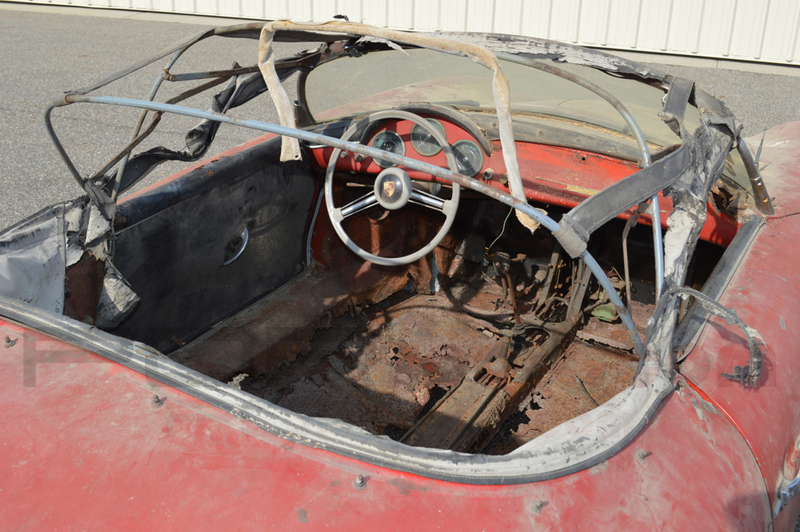 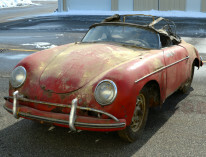 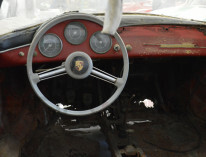 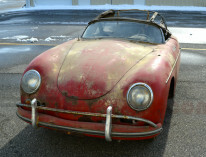 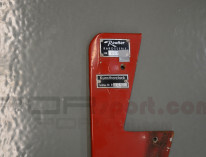 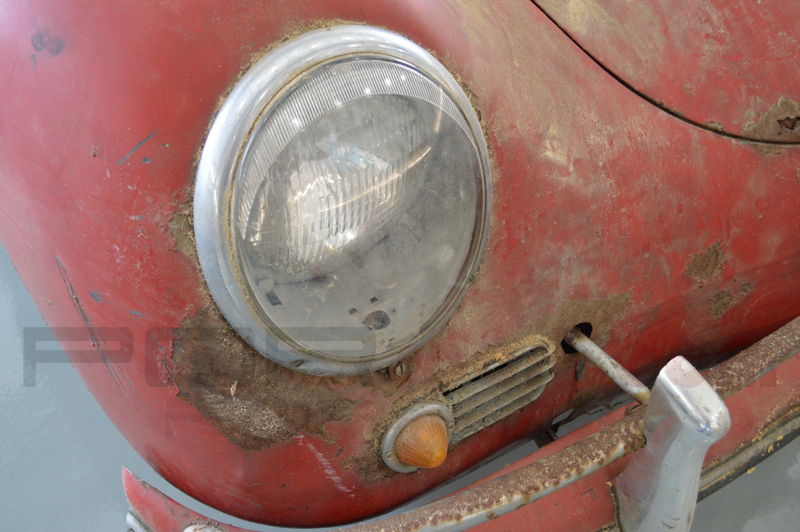 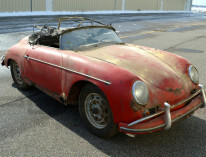 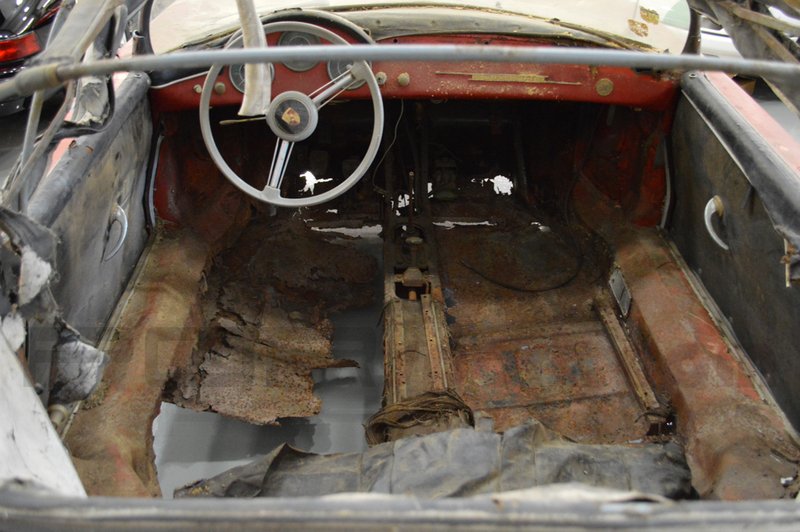 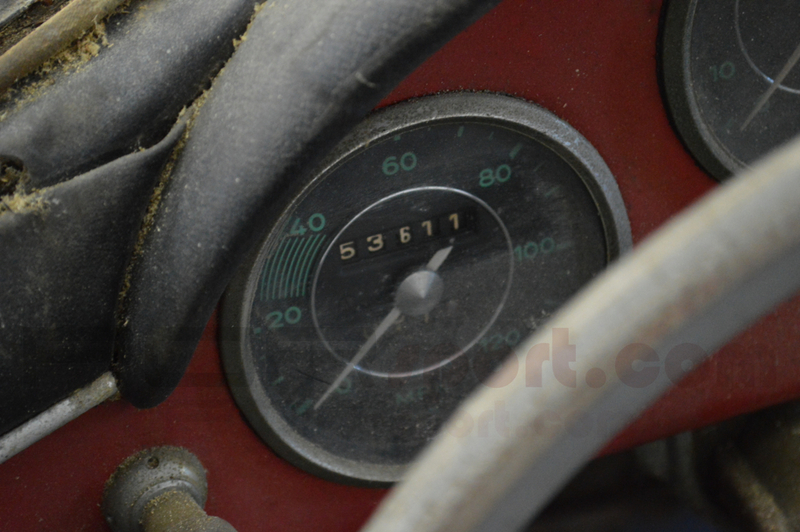 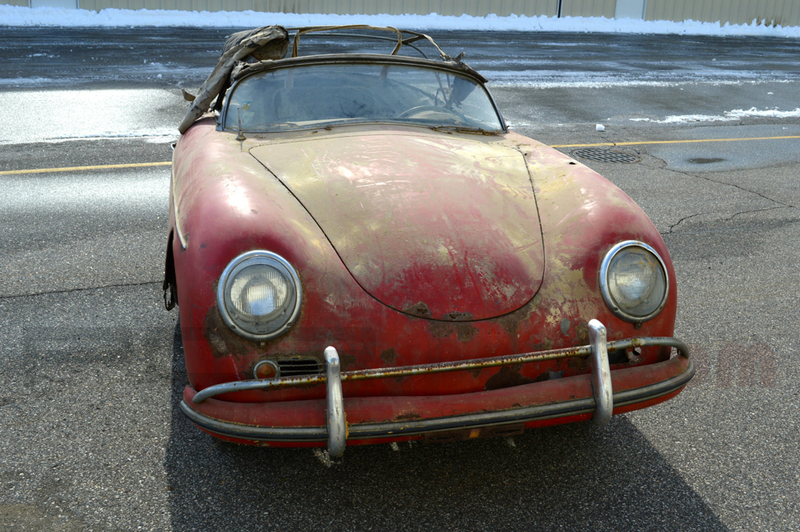 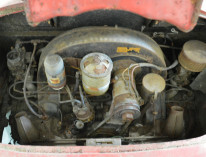 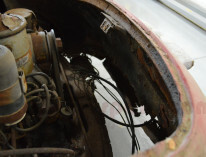 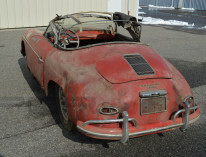 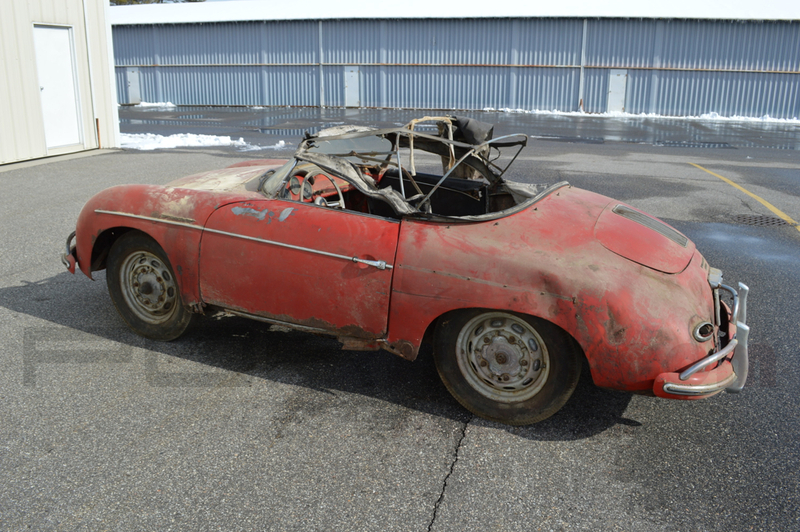 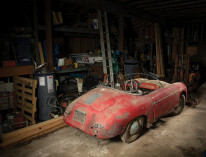 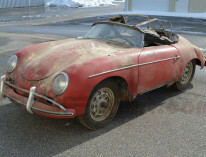 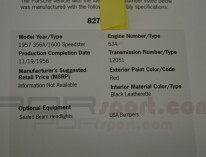 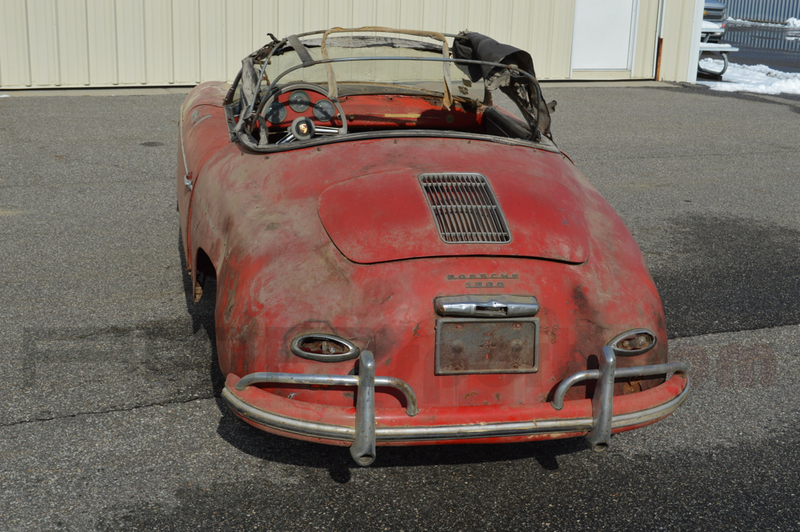 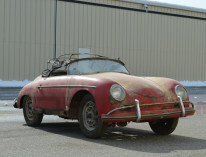 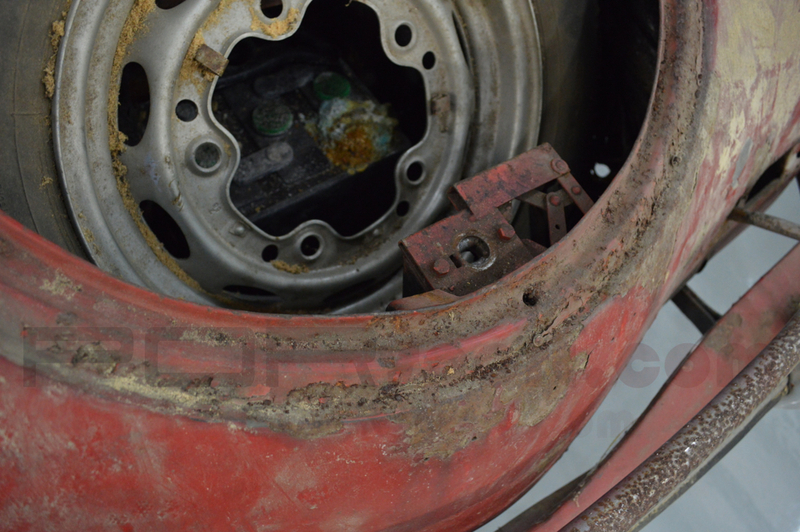 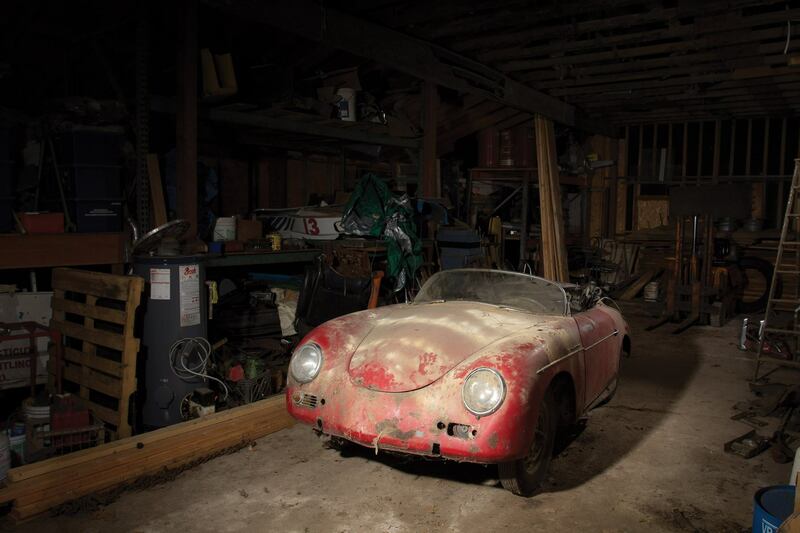 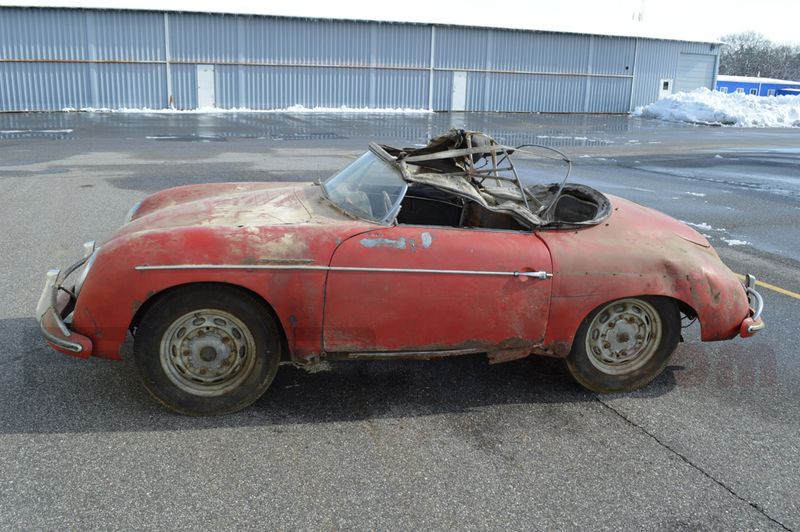 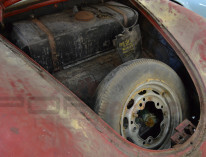 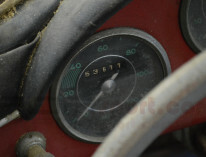 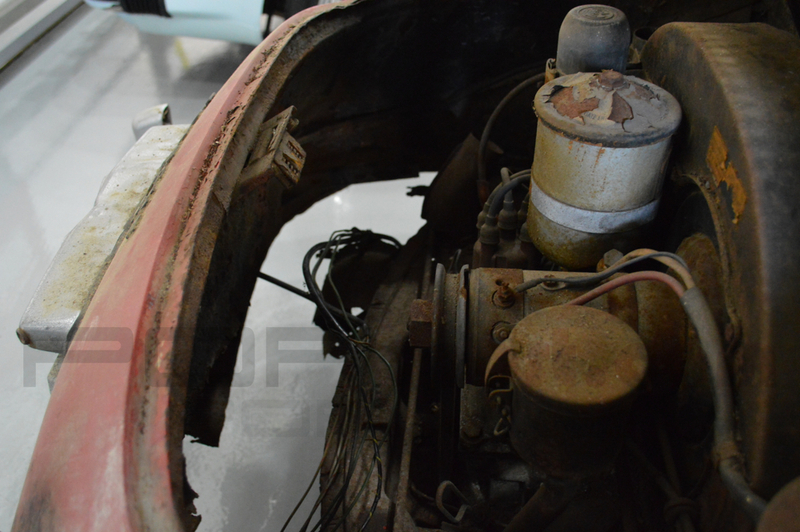 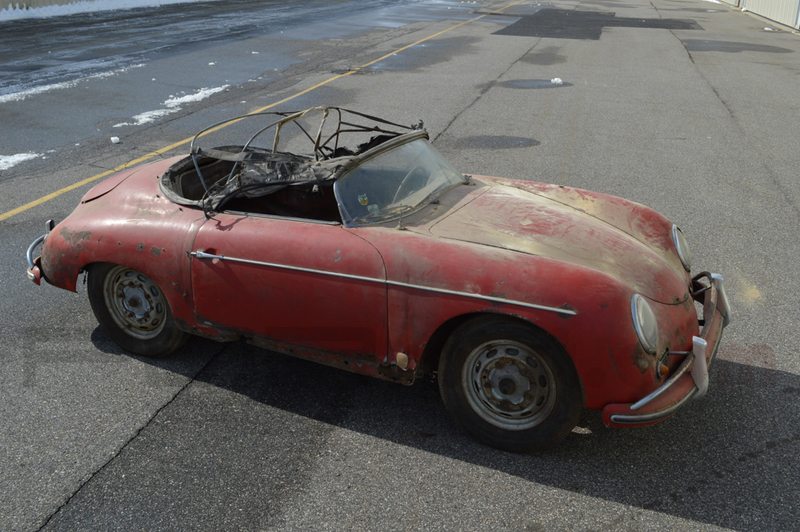 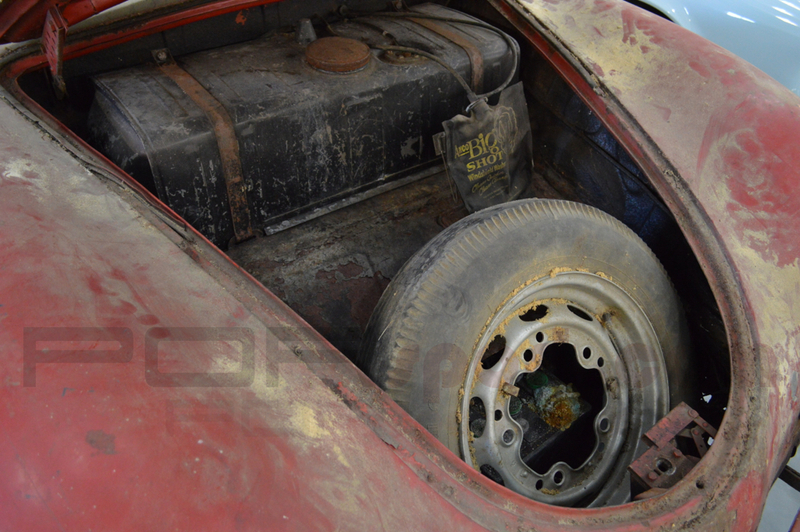 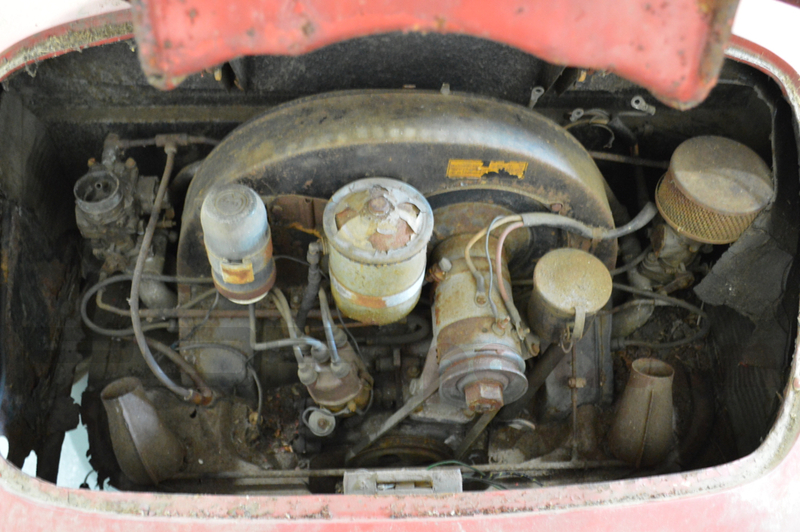 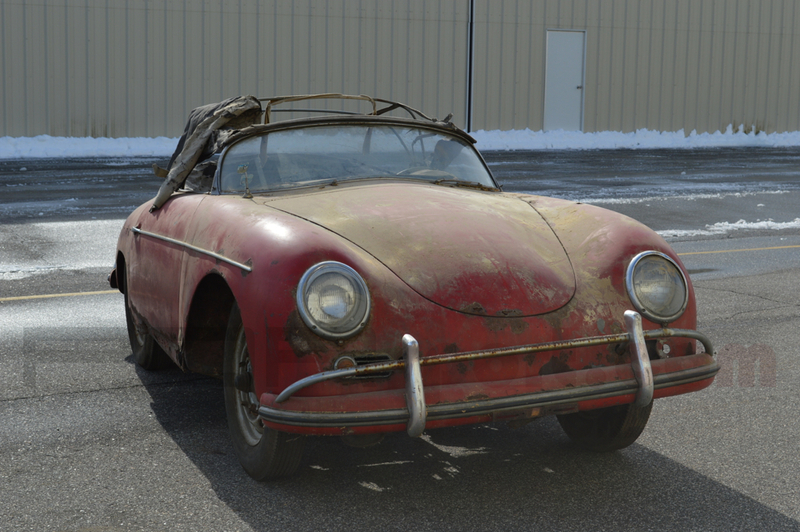 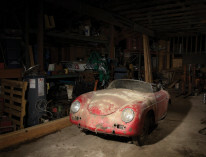 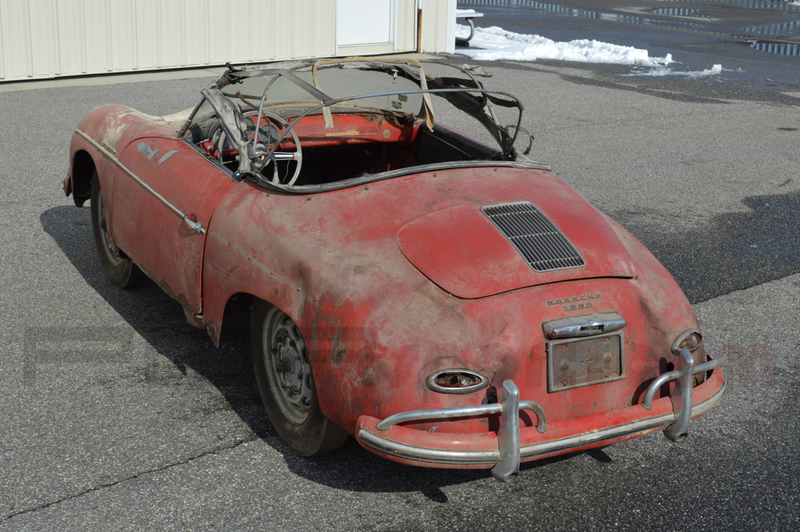 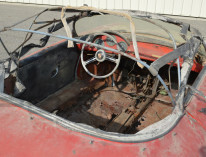 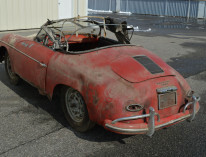 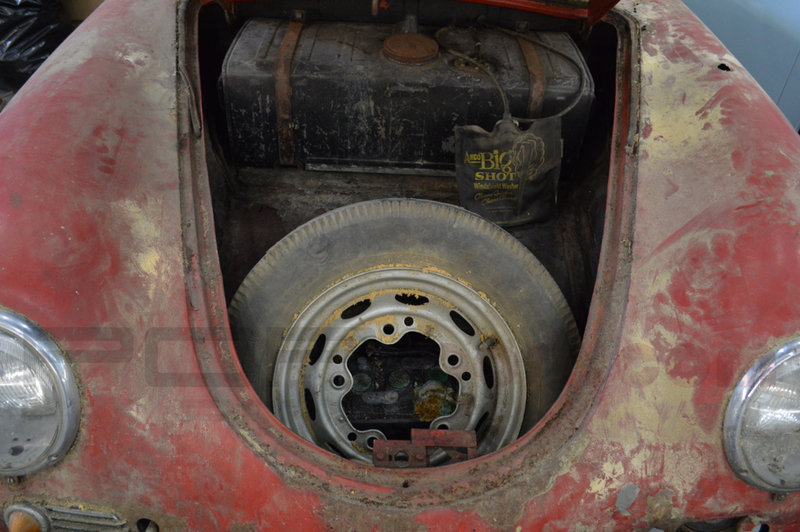 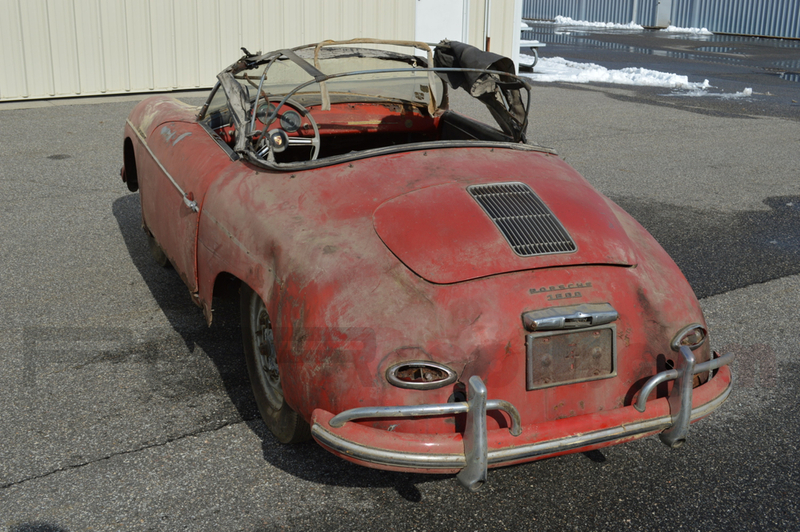 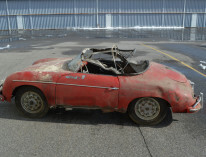 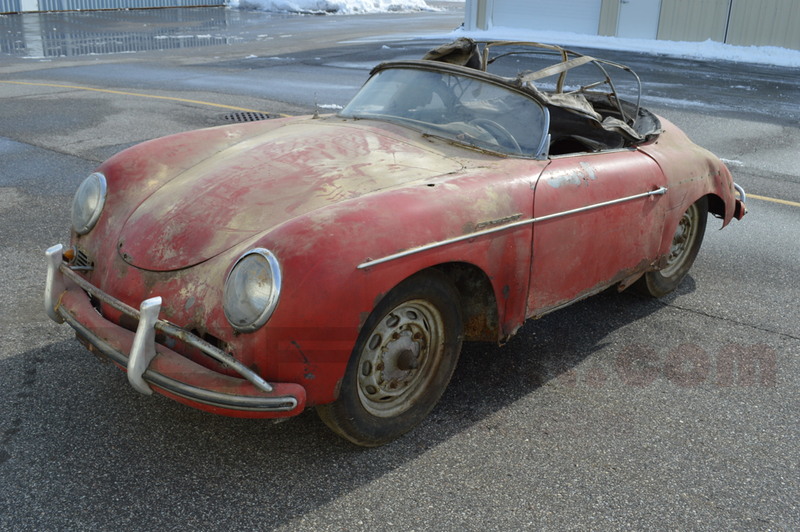 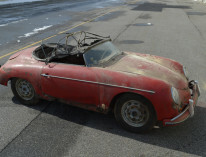 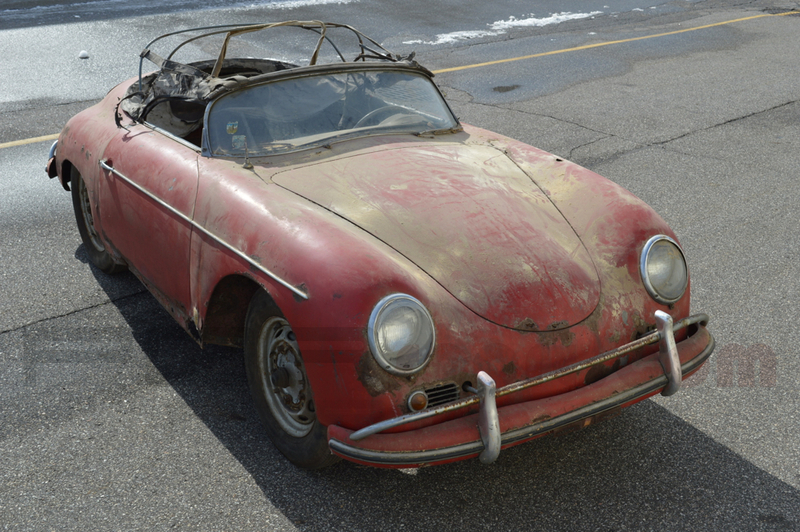 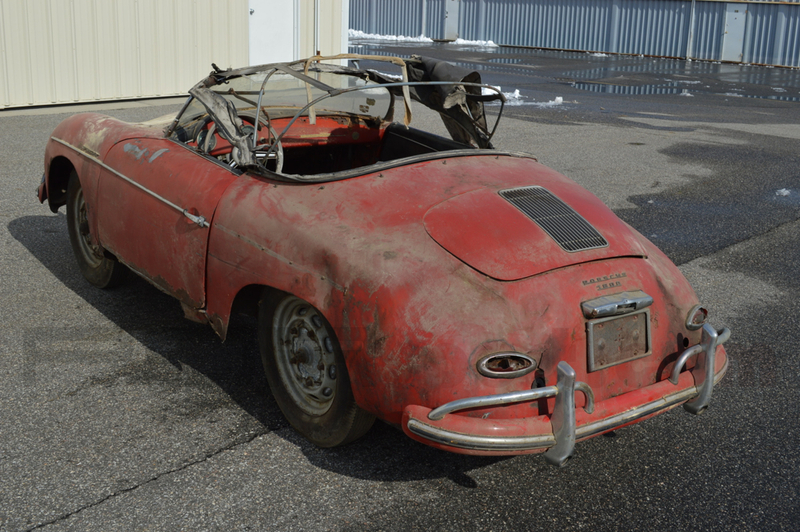 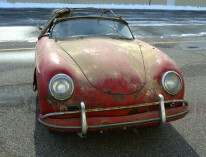 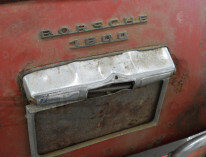 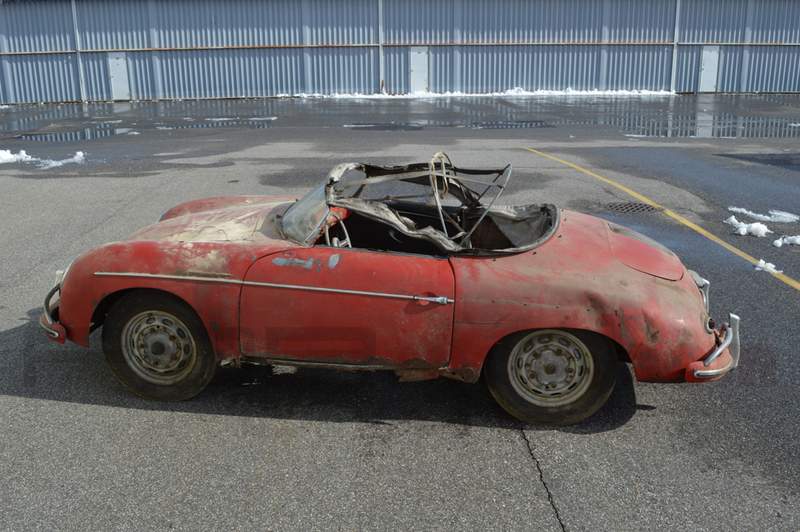 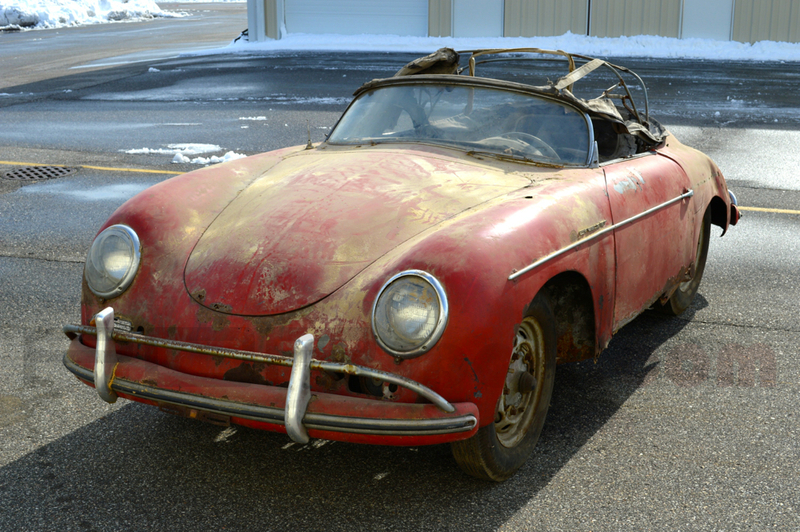 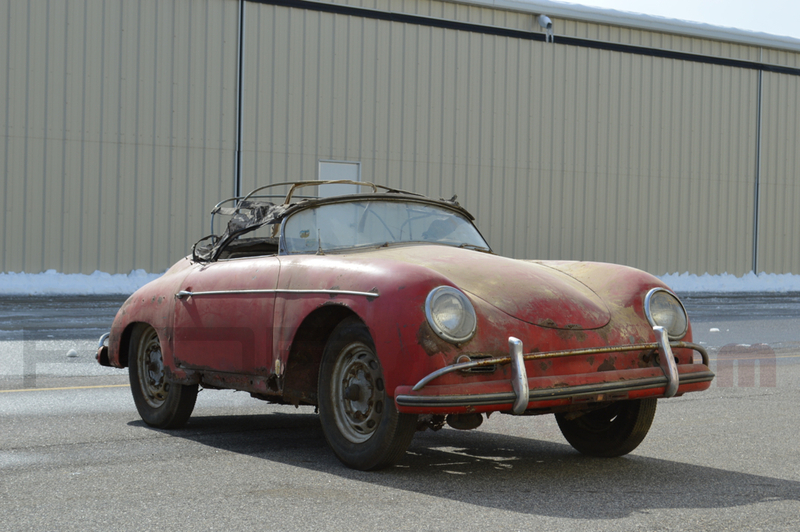 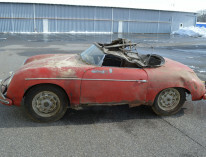 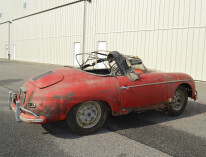 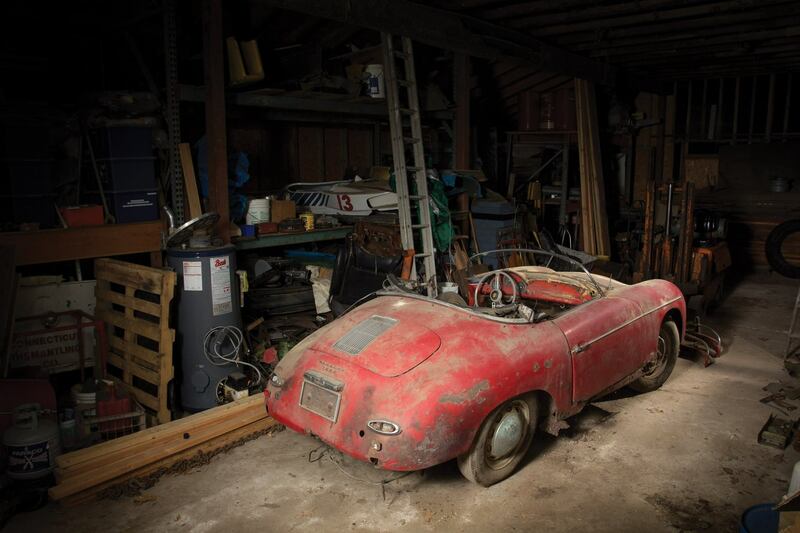 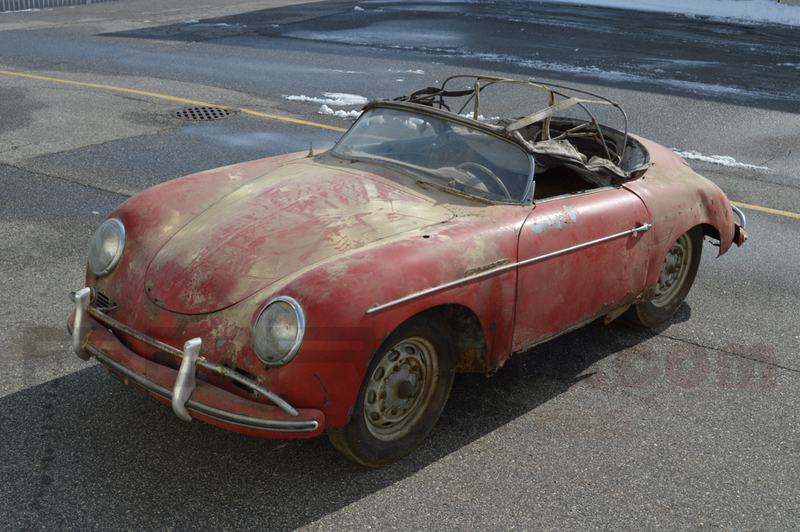 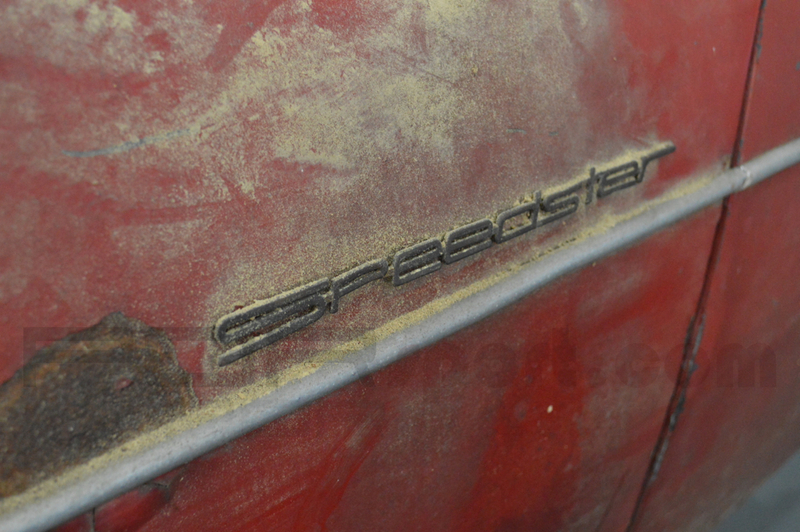 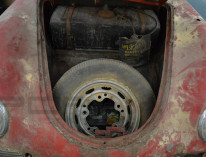 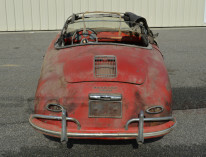 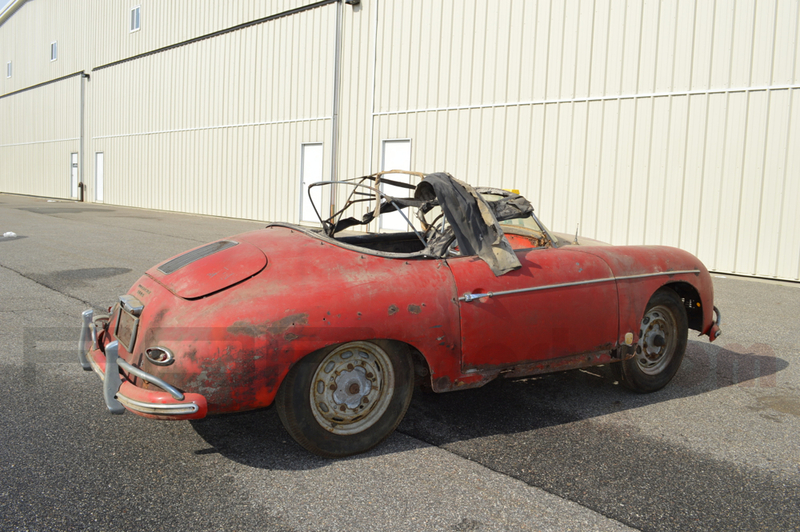 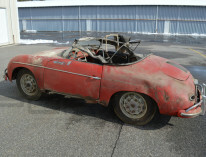 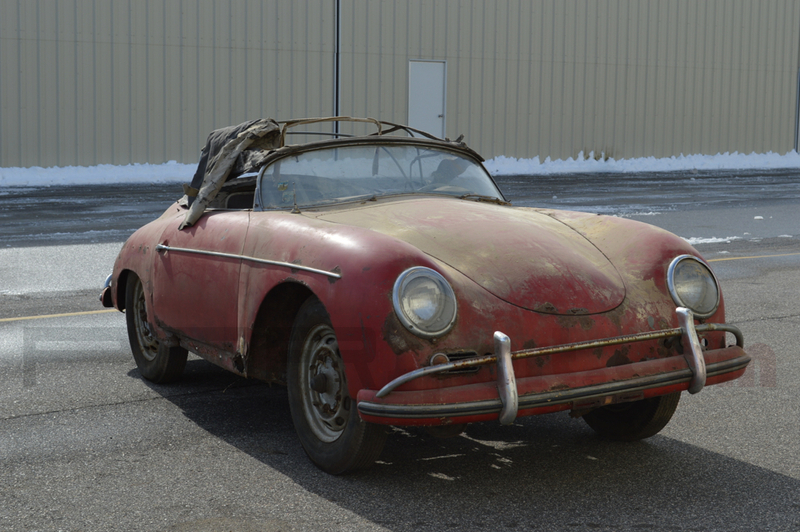 This Speedster was just pulled from a Connecticut barn where it was parked in 1985. 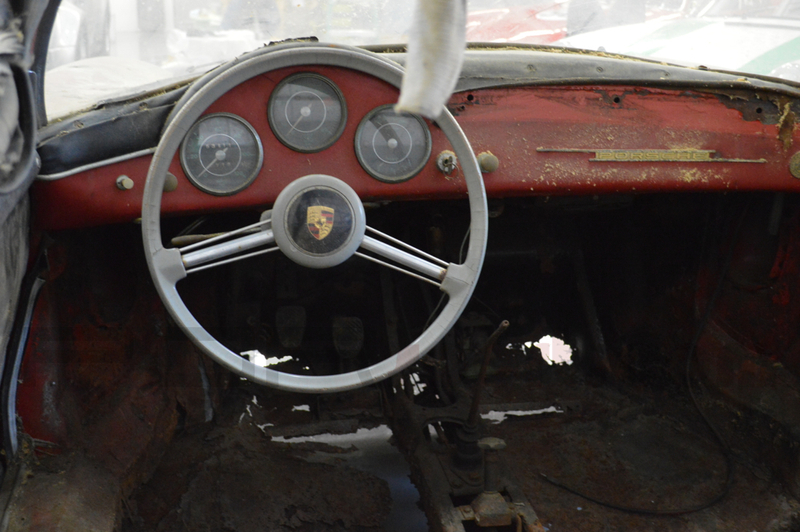 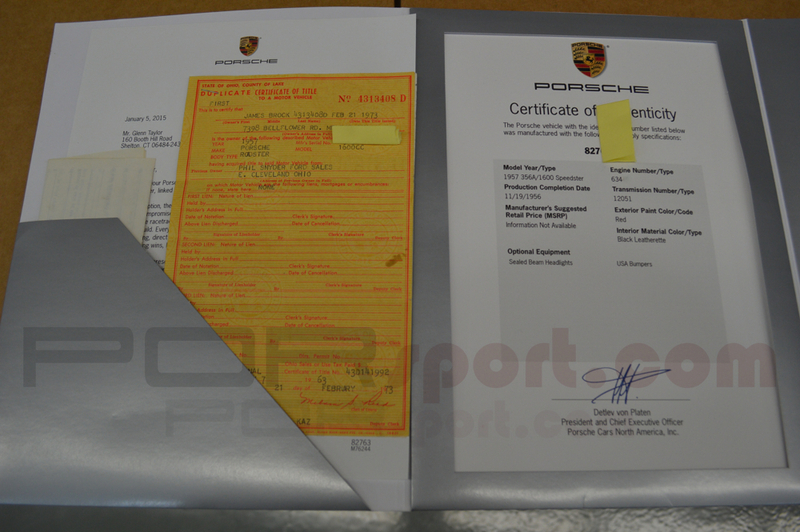 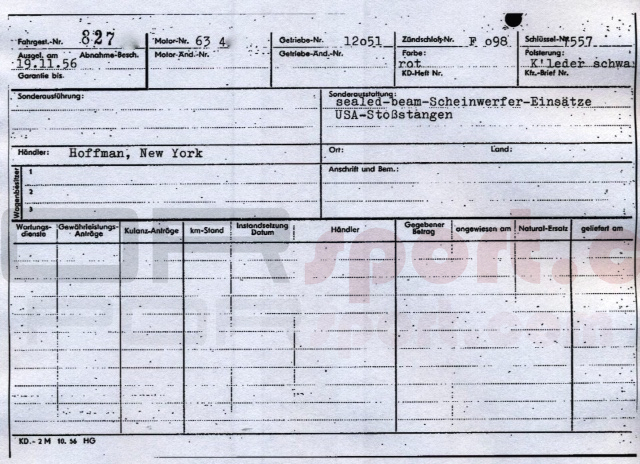 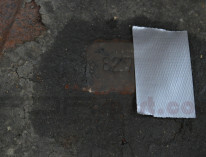 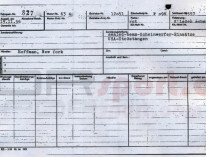 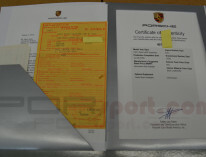 One owner since. 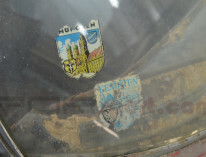 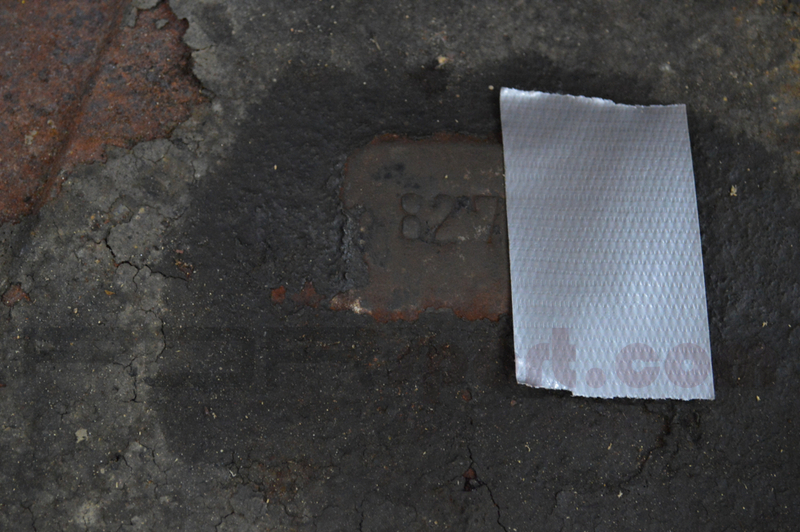 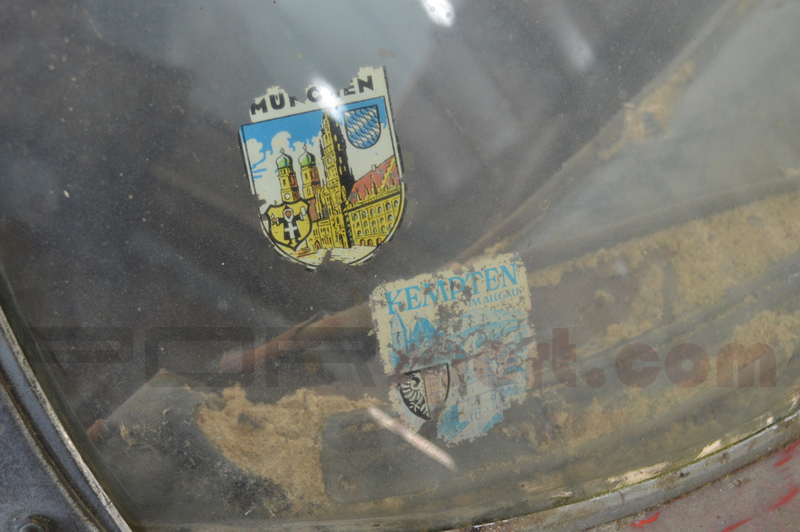 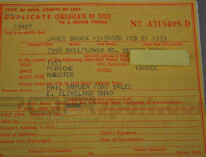 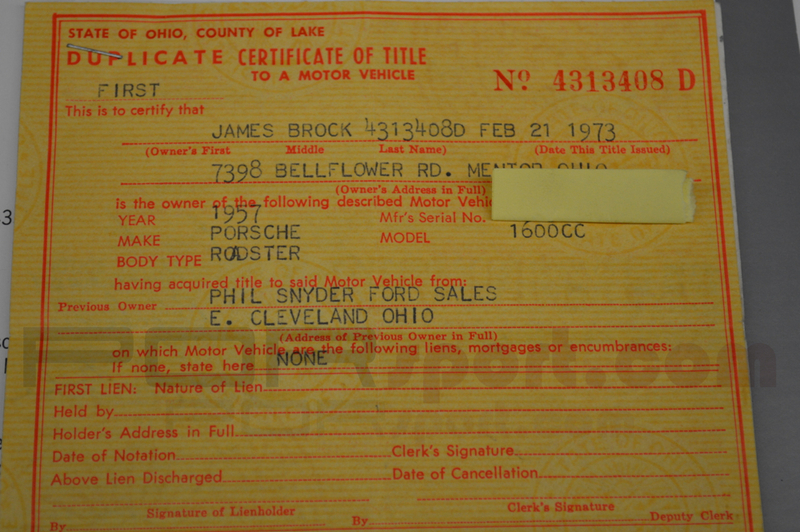 Old Ohio title from 1973 and from the looks of the car it was parked outside in the 70's before being stored. 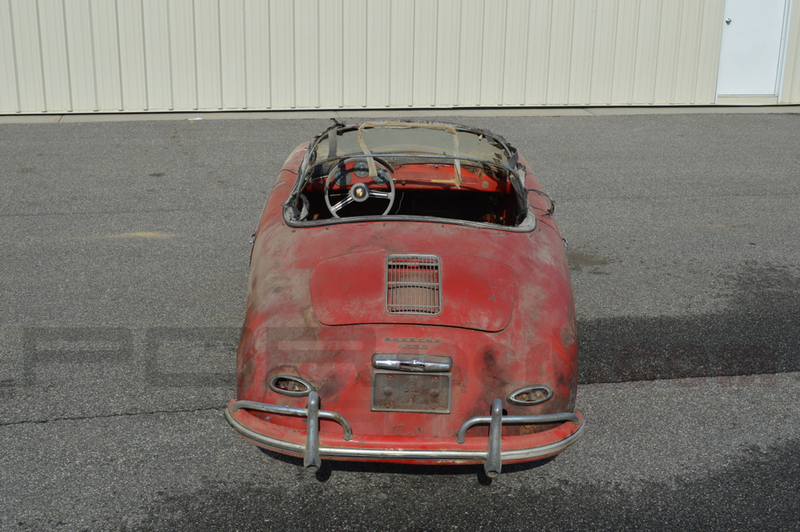 The Speedster is obviously untouched and very original. 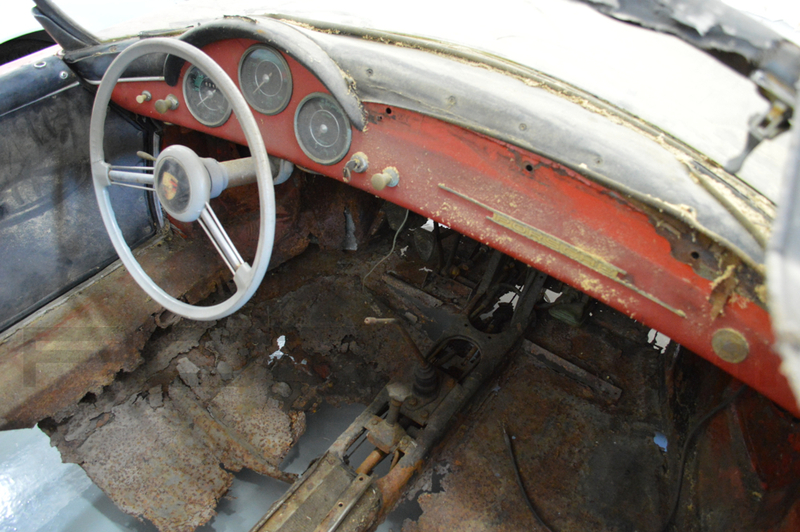 It is nearly complete missing the seats and a few small parts and is fully matching numbers. 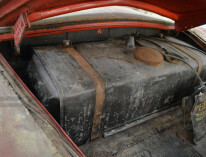 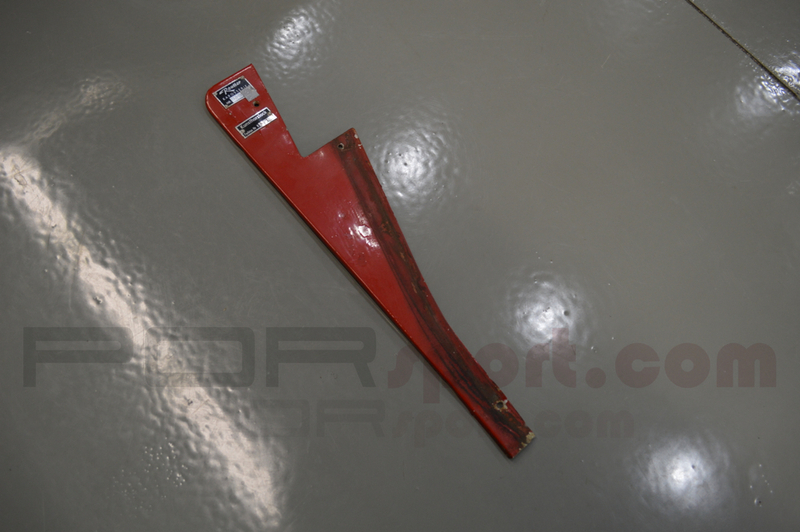 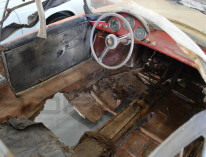 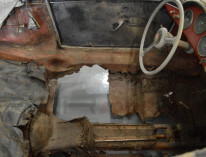 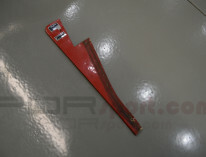 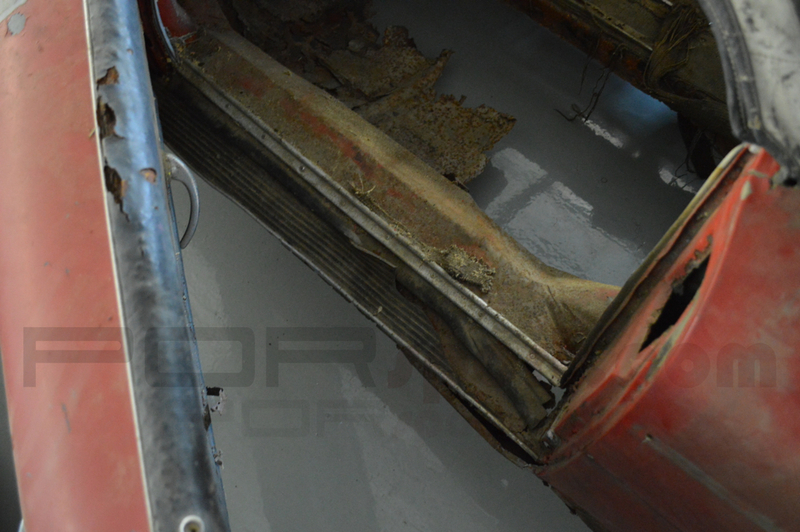 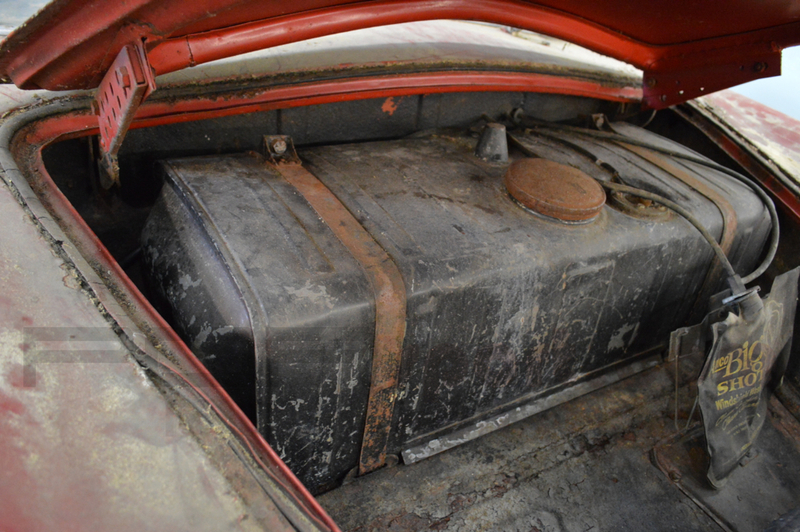 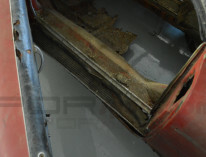 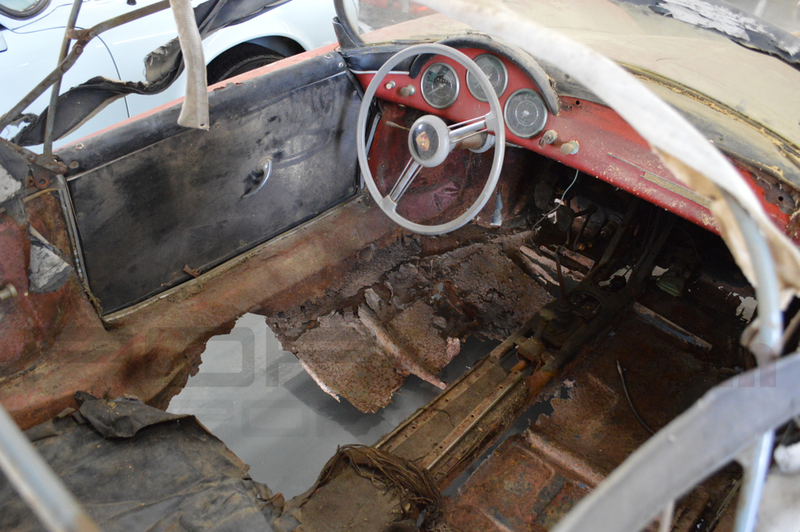 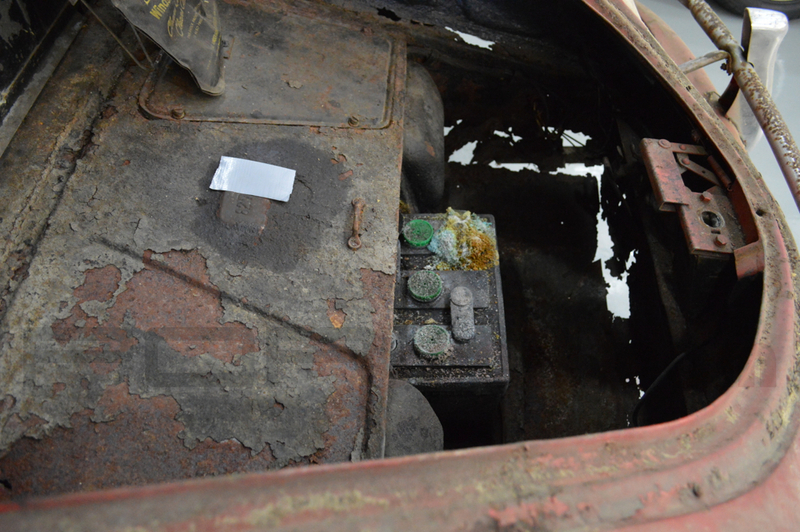 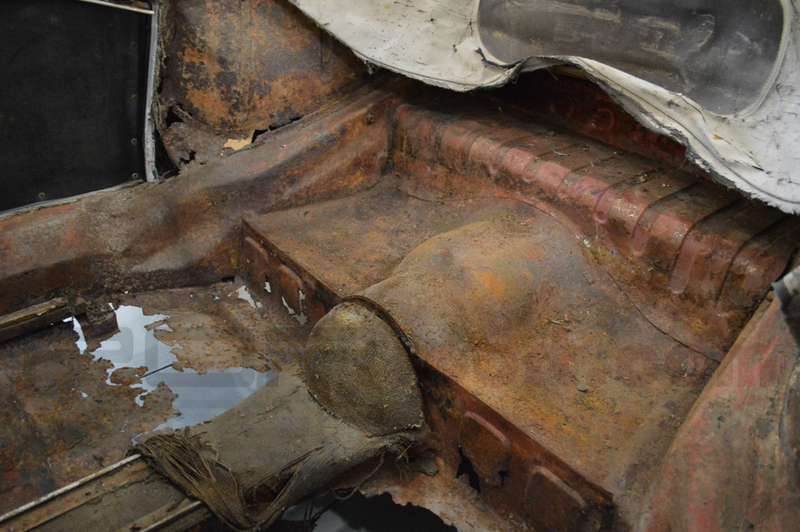 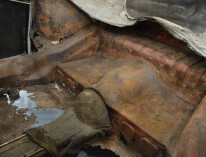 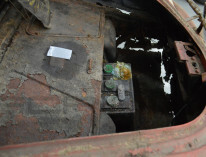 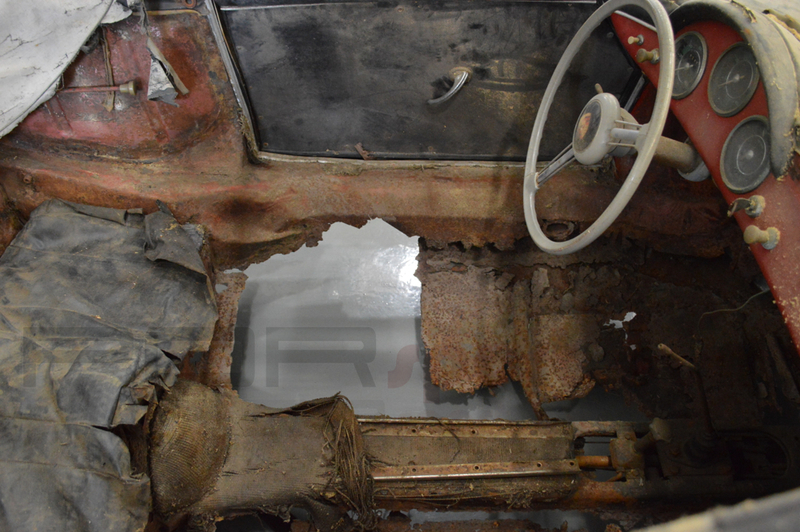 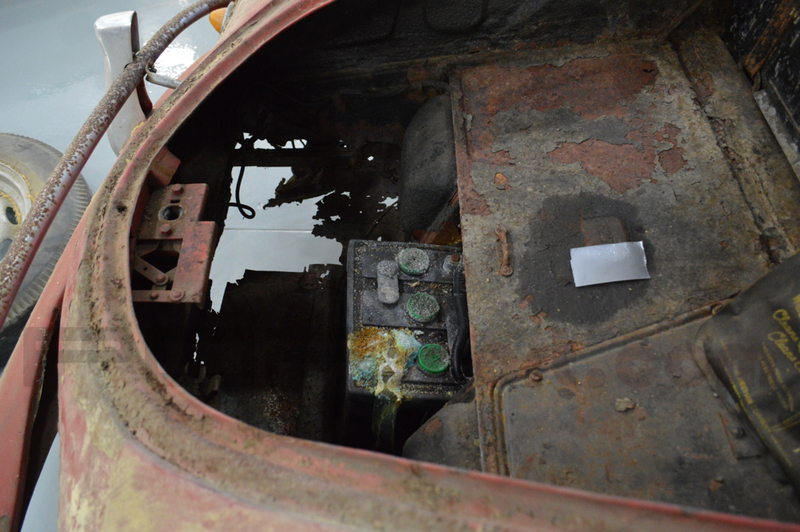 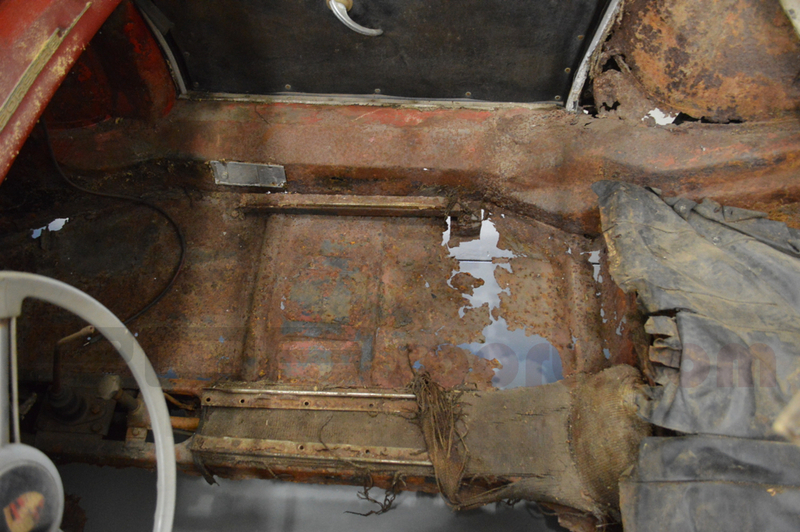 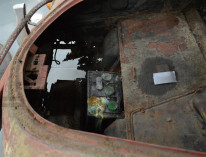 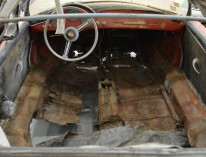 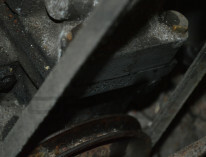 It retains all of its major original components and panels. 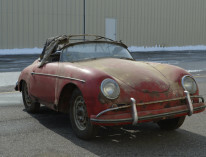 The Speedster has structural rust will require a full restoration and underside reconstruction or would be a great static display Speedster in a collection. 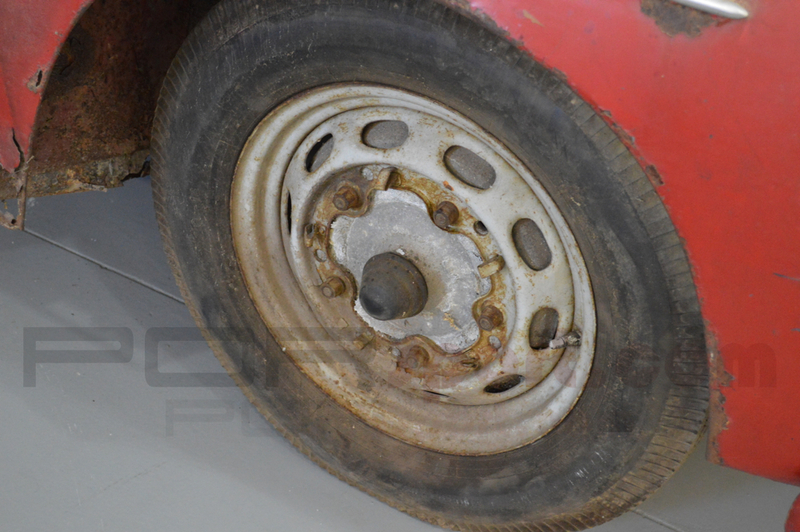 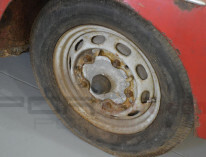 The wheels are 16s and the rear bumper is from a later car.